Chris Molanphy discusses the Rock and Roll Hall of Fame nominees. Year after year, musicians like Chic wither on the ballot for the Rock and Roll Hall of Fame. Now the hall is inviting more critics to vote. 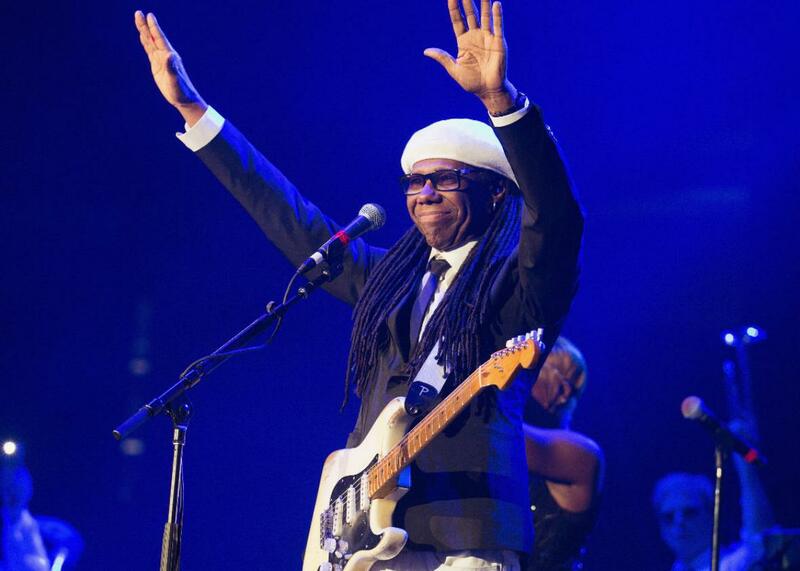 Nile Rodgers of Chic performs onstage on Sept. 1 in Everett, Washington. Our favorite cultural cabal in Cleveland has spoken. The Rock and Roll Hall of Fame has announced its nominees for induction in 2017—and the picks are incomparable as always, with Chic, Pearl Jam, and Kraftwerk in the running. Chris Molanphy discusses shoo-ins and long shots. He writes the “Why Is This Song No. 1?“ column for Slate. For the Spiel, a special holiday message from Mike Pesca. MVMT Watches. Get 15 percent off today, with free shipping and free returns, by going to MVMTWatches.com/gist.